 Aboriginal and Torres Strait Islander Corporation Family Violence Prevention and Legal Service Victoria operates as Djirra. Djirra is subject to the Australian Privacy Principles under the Privacy Act 1988 (Cth). Djirra will follow the guidelines of the Australian Privacy Principles in its information management practices. Personal information does not include anonymous information, aggregated or de-identified information. Sensitive information is a subset of personal information and is given a higher level of protection. Sensitive information is defined in the Privacy Act and includes information or an opinion about an individual’s racial or ethnic origin; political opinions; membership of a political association; religious beliefs or affiliations; philosophical beliefs; membership of a professional or trade association; membership of a trade union; sexual preferences or practices; or criminal record. as a person’s medical history, nationality, their ethnic background or disabilities. What personal information does Djirra collect and hold? any additional information relating to a client that a client provides in-person, by telephone, in writing or via email. How does Djirra collect your personal information? Djirra collects personal information directly from an individual unless it is unreasonable or impracticable to do so. This may occur in a range of ways including in person; by letter, fax, email or telephone; on hard copy forms; through the website; from referring or third parties (with consent); and at events or forums. Depending on the circumstances, some types of information will be required to be provided and others might be optional. If you do not provide some or all of the information requested, this may affect Djirra’s ability to communicate with you or to provide the requested products or services. By not providing requested information, you may jeopardise your ability to receive services or apply for employment or volunteer positions with Djirra. If it is impracticable for Djirra to deal with you as a result of you not providing the requested information or consent, Djirra may refuse to do so. Djirra may collect personal information regarding a child from the parent or other responsible person associated with that child. In many circumstances, Djirra collects information from third parties with written client consent. government agencies, schools, community organisations. For what purposes does Djirra collect, hold, use and disclose personal information? to comply with any law, rule, regulation, lawful and binding determination. Djirra may use health information to ensure that programs we operate are run safely and in accordance with any special health needs participants may have. Health information may also be kept for insurance purposes. In addition, we may use de-identified health information and other sensitive information to carry out research, to prepare submissions to government, or to plan events and activities. Djirra may also collect, hold, use and disclose personal information for other purposes explained at the time of collection or which are required or authorised by or under law for which the individual has provided their consent. To whom may Djirra disclose your information? (e) in other circumstances required or permitted by law. In some circumstances, personal information may also be disclosed outside of Australia. In such circumstances, Djirra will use its best endeavours to ensure such parties are subject to a law, binding scheme or contract which effectively upholds principles for fair handling of the information that are suitably similar to the Australian Privacy Principles. We will assume consent to use non-sensitive personal information to provide better services and for marketing purposes (including disclosure of such information to service providers). Every person whose data is collected by Djirra has the option to refuse e-mail, SMS or posted communications by making a request in writing to Djirra via the contact details set out below or by making use of the opt-out procedures included in any communications from us (however, information relating to the option to unsubscribe from those communications may be retained). (d) to lessen or prevent a threat to an individual or public health or safety. When users visit the Djirra website, our systems may record certain information about their use of the site, including the web pages visited and the time and date of their visit. Djirra uses this information to help analyse and improve the performance of the Djirra website. Websites linked to the Djirra website are not subject to Djirra’s privacy standards, policies or procedures. Djirra cannot take any responsibility for the collection, use, disclosure or security of any personal information that you provide to a third party website. An individual may request access to any personal information Djirra holds about them at any time by contacting Djirra (see the details below). Where Djirra holds information that an individual is entitled to access, we will try to provide the information in the manner requested (for example, photocopies or by viewing a file) and in a timely way. There may be instances where Djirra cannot grant access to the personal information held. For example, Djirra may need to refuse access if granting access would interfere with the privacy of others or if it would result in a breach of confidentiality. If that happens, Djirra will provide written notice outlining the reasons for the decision and available complaint mechanisms. to the personal information stating that the relevant individual disagrees with the information and Djirra will take reasonable steps to do so. If Djirra corrects personal information about an individual and has previously disclosed that information to another agency or organisation that is subject to the Privacy Act, the individual may ask Djirra to notify that other entity and Djirra will take reasonable steps to do so, unless this would be impracticable or unlawful. In addition to above, in circumstances where a client requests access to personal information held by Djirra’s Aboriginal Family Violence Legal Service, the Manager of Legal Service will view the file and approve any copies of material to be given to the client prior to client access. A copy of the relevant part of the file will be made available to the client as soon as practicable after this. Djirra treats all complaints confidentially. Djirra will try to resolve all complaints in a timely, fair and reasonable way. We will respond to your complaint within 30 days and try to resolve it within 90 days. If an individual is not satisfied with Djirra’s response, a complaint can be made to the Office of the Australian Information Commissioner (by telephone: 1300 363 992, by email enquiries@oaic.gov.au or by post: GPO Box 5218 Sydney NSW 2001). Djirra stores information in different ways, including in paper and electronic form. Much of the information we collect from and about the people we provide our services to is added to Djirra’s database. When your information is entered into Djirra’s database, the information may be combined or linked with other information held about you. Djirra takes reasonable steps to ensure that personal information we collect, use and disclose is accurate, up-to-date and complete and relevant. Security of personal information is important to Djirra. Djirra has taken steps to protect the information we hold from misuse, loss, unauthorised access, modification or disclosure. Some of the security measures Djirra uses include strict confidentiality requirements of our employees, volunteers and service providers, security measures for system access and for our website. As outlined above, Djirra seeks to protect your personal information from any unauthorised loss, disclosure or access. However, it is a requirement of the Privacy Act that if a serious data breach occurs, Djirra must notify you and the Office of the Australian Information Commissioner regarding the circumstances of the breach.